South Korea looks set to sustain its revival thanks to renewed private consumption, its central bank says. The country's economy has suffered from an overhang of personal debt after its consumers' credit card spending spree. Card use fell sharply last year, but is now picking up again with a rise in spending of 14.8% year-on-year. "The economy is now heading upward rather than downward," said central bank governor Park Seung. "The worst seems to have passed." 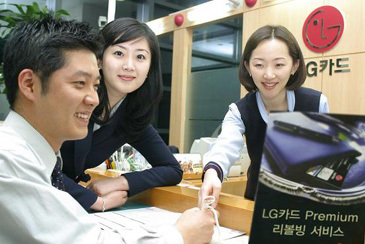 Mr Park's statement came as the bank decided to keep interest rates at an all-time low of 3.25%. It had cut rates in November to help revive the economy, but rising inflation - reaching 0.7% month-on-month in January - has stopped it from cutting further. Economic growth in 2004 was about 4.7%, with the central bank predicting 4% growth this year. Other indicators are also suggesting that the country is inching back towards economic health. Exports — traditionally the driver for expansion in Asian economies — grew slower in January than at any time in 17 months. But domestic demand seems to be taking up the slack. Consumer confidence has bounced back from a four-year low in January, and retail sales were up 2.1% in December. Credit card debt is falling, with only one in 13 of the 48 million cards now in default — down from one in eight at the end of 2003. 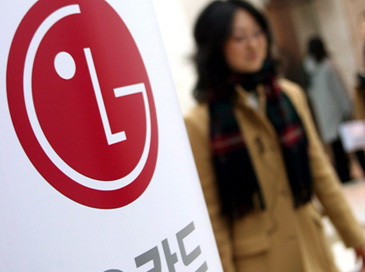 One of its biggest card issuers, LG Card, was rescued from collapse in December, having almost imploded under the weight of its customers' bad debts. The government last year tightened the rules for card lending to keep the card glut under control.